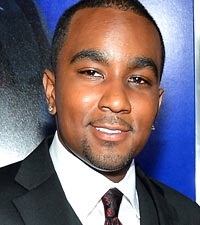 Just a few weeks after publicly admitting to having a drug and alcohol problem on “The Dr. Phil Show,” Nick Gordon is now exiting rehab. What was initially meant to be an interview between Dr. Phil and Nick Gordon about the moment he found Bobbi Kristina unconscious in her bathtub, quickly turned into an intervention after Nick displayed clear signs of drug and alcohol abuse last month. Dr. Phil reasoned with Nick to go to rehab and for the past few weeks he’s been in rehab overcoming his addiction while coping with the grief of Bobbi Kristina’s unresponsive health status. Sources claim that Nick did very well in rehab and made a lot of progress. So far, neither the Brown or Houston family has permitted Nick to see Bobbi Kristina in the hospital despite his reported recovery. Currently, Nick is living with his mother and caught a plea deal in a 2012 reckless driving and speeding case. He was fined $705, given a credit of two days spent in jail, and given a suspended 11-month and 28 days sentence upon payment of his fine. So far, Nick has not made any public statements regarding his recovery and stint in rehab. We are happy that Nick is doing better and we hope that he and Bobbi Kristina’s family members can come to some sort of resolution. As always, our loving thoughts and prayers go out to Bobbi Kristina and her family.